Crashes were almost immediate as Maverick Viñales (Team Suzuki Ecstar) crashed at Turn 5 on his out lap. His fall was quickly followed by Marc Marquez (Repsol Honda Team) who came off at Turn 8, grabbing a spare scooter to get back to the pits as quick as possible. 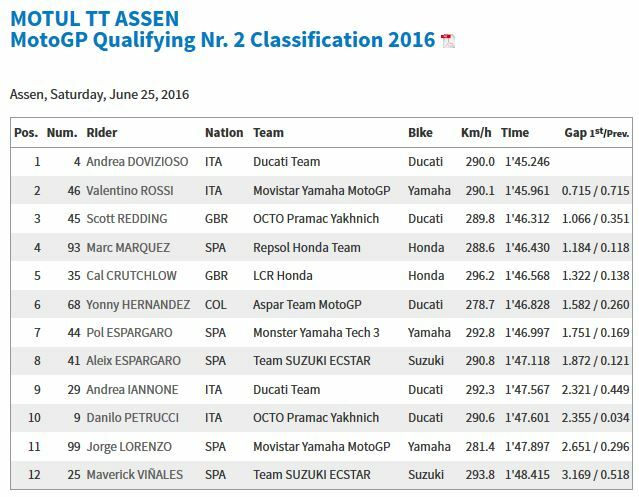 For just the fourth time in his premier class career, Andrea Dovizioso (Ducati Team) will line up in pole position. 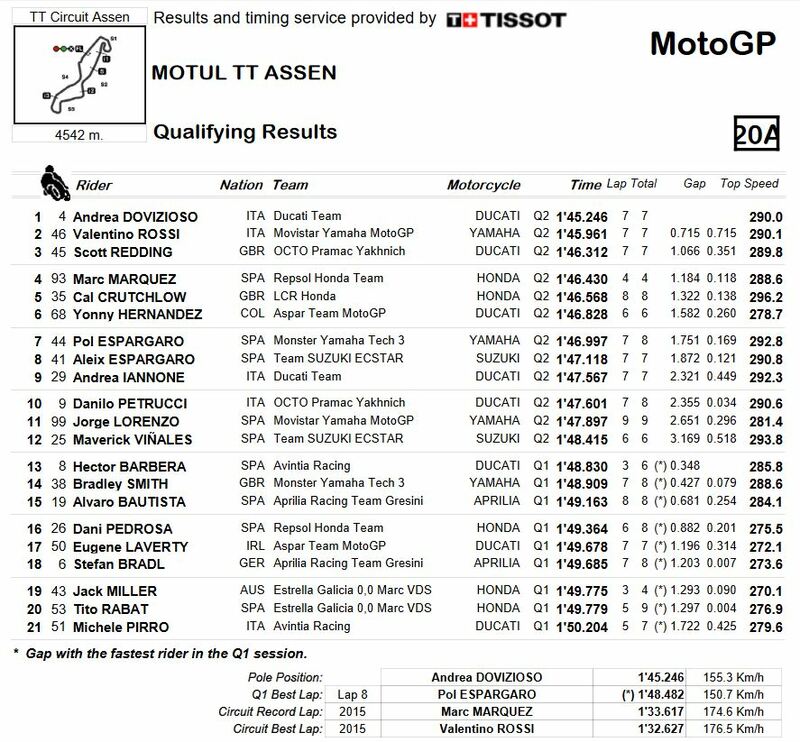 Conditions were incredibly tricky but ‘Desmo Dovi’ showed his skill and experience to set a 1’45.246 to take pole by over half a second. 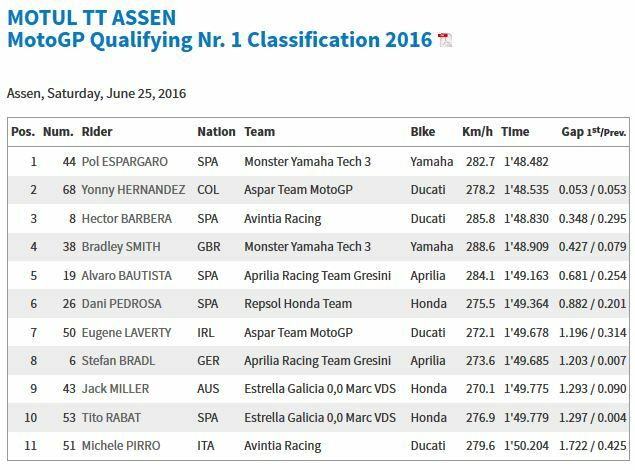 This is his third pole while riding with Ducati, his last coming in Qatar back in 2015. 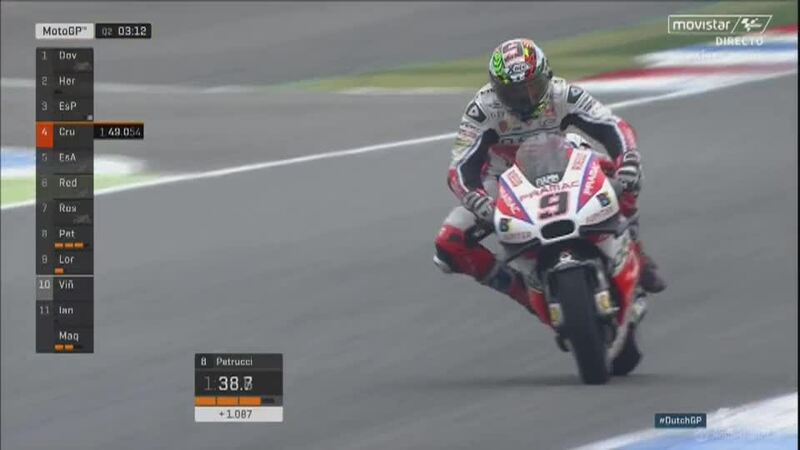 Andrea Dovizioso’s lone MotoGP™ win came at the British GP in 2009 in wet conditions, he could be on course for a second one if the rain remains. 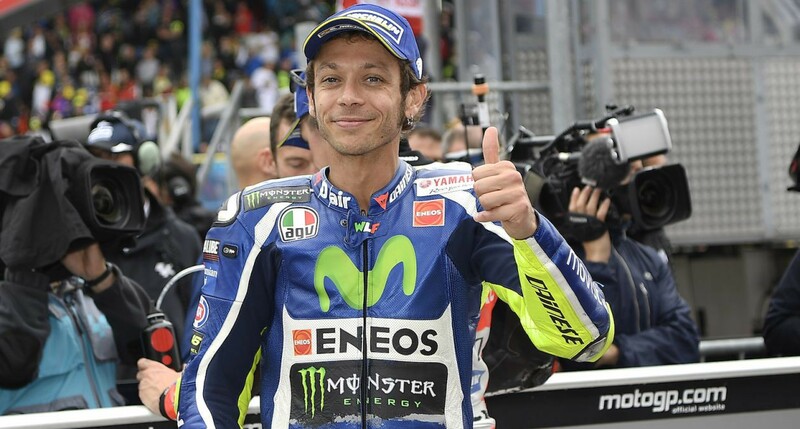 It proved to be a good day for Italy, Valentino Rossi (Movistar Yamaha MotoGP) taking second on the grid. 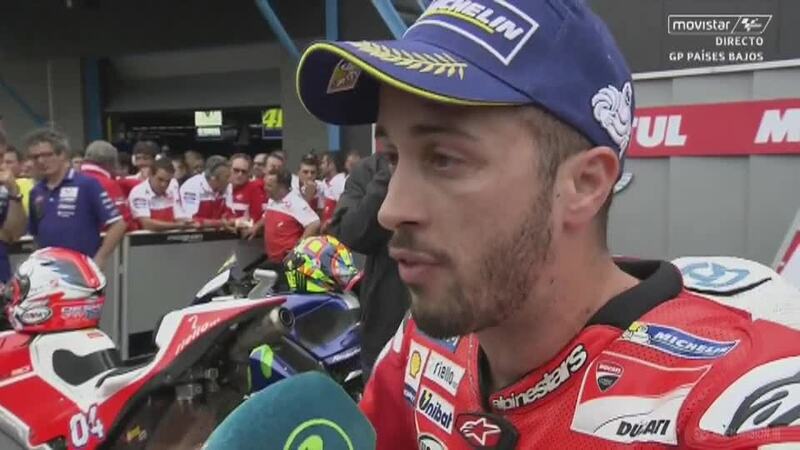 Like Dovizioso, Rossi is known for his ability when the conditions are less than ideal. With both Marquez and Jorge Lorenzo (Movistar Yamaha MotoGP) having less than ideal sessions and starting down the order, Rossi has an excellent chance to close the 22-point gap in the championship. It’s still a three way title battle and momentum is on Rossi’s side heading into Sunday’s race. Leading the Independent Team charge and rounding out the front row is Scott Redding (Octo Pramac Yakhnich). The Brit will start from the front row for the first time in the premier class, his last front row coming at the British GP in 2013 when he was battling for the Moto2™ World Championship. This comes as a welcome confidence boost for Redding who has been hit by a number of technical issues early in the season. Ducati riders have classically gone very well in the wet, his teammate scoring a podium a the British GP in 2015. 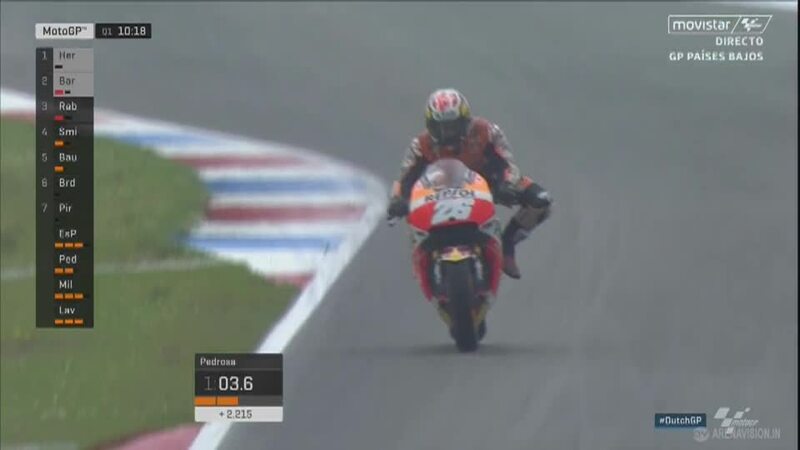 A relieved Marc Marquez will start the Motul TT Assen from fourth place, not quite able to re-create his magic wall-jumping pole from Austin. Given the circumstances it certainly could have been much worse. Just behind Marquez is fellow Honda rider Cal Crutchlow (LCR Honda) in sixth. The Brit is not overly confident for Sunday’s race, labeling it a lottery if it’s wet. Free Practice 3 saw Jorge Lorenzo (Movistar Yamaha MotoGP) have a fast fall at Turn 7, the Mallorcan sliding off his bike but tumbling heavily through the gravel. Clearly shaken, he was slow to get to his feet but suffered no serious injuries. 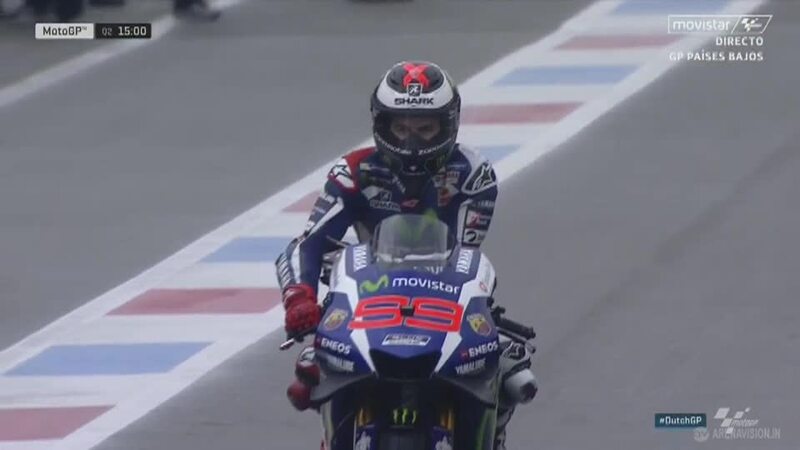 It upset his rhythm but Lorenzo was able to head back out for the final minutes of the session. Free Practice 4 offered the grid a brief chance to test their wet weather settings, which would be crucial when Q2 began soon after. 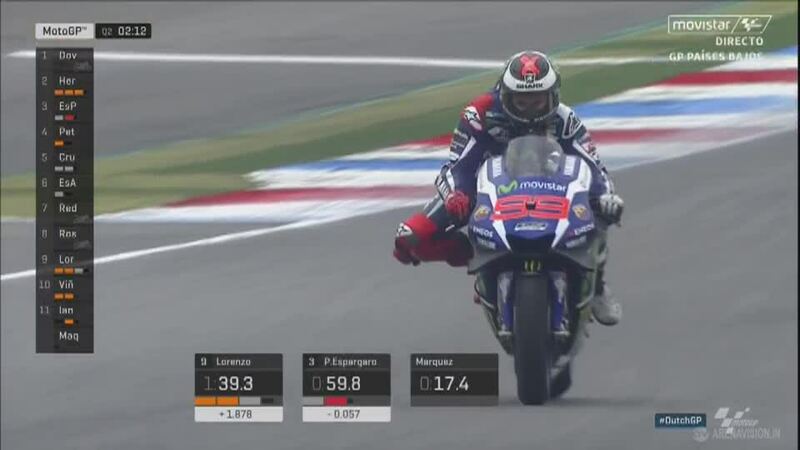 Unfortunately Lorenzo was unable to get comfortable during the 15-minute shootout and managed a best time of 1’47.897, some 2.651s off Andrea Dovizioso’s (Ducati Team) pole lap, and only good enough for 11th. He made no excuses and laid the blame firmly at his own feet. 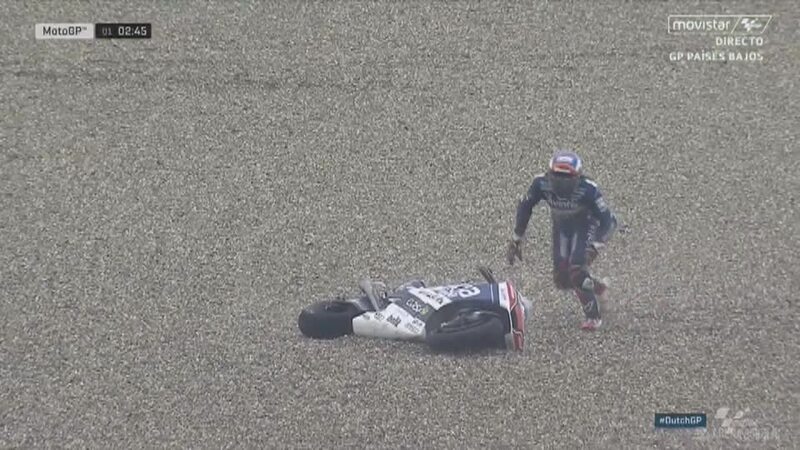 This is not the first time Lorenzo has had issues in Assen when the track was between wet and dry, the 2014 race saw him end down in 13th in similar conditions. 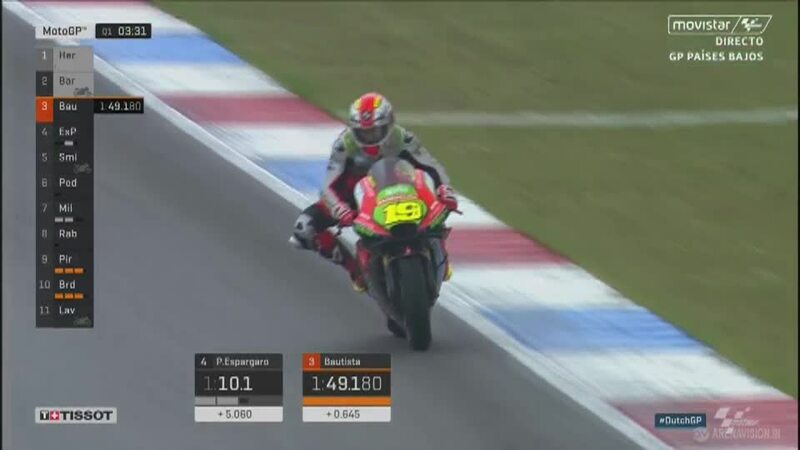 Due to his penalty, Andrea Iannone (Ducati Team) will start last and as such Lorenzo will be promoted to tenth on the grid. 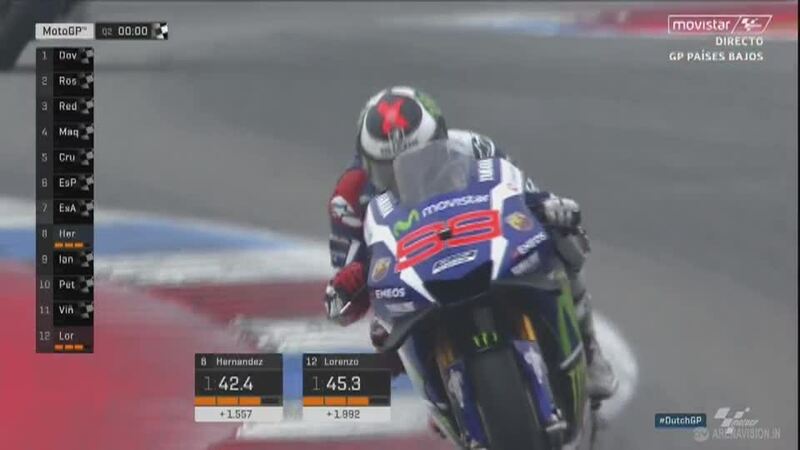 Tenth is Lorenzo’s worst Qualifying result since the 2013 Dutch GP when he broke his collarbone and was forced to miss Qualifying. 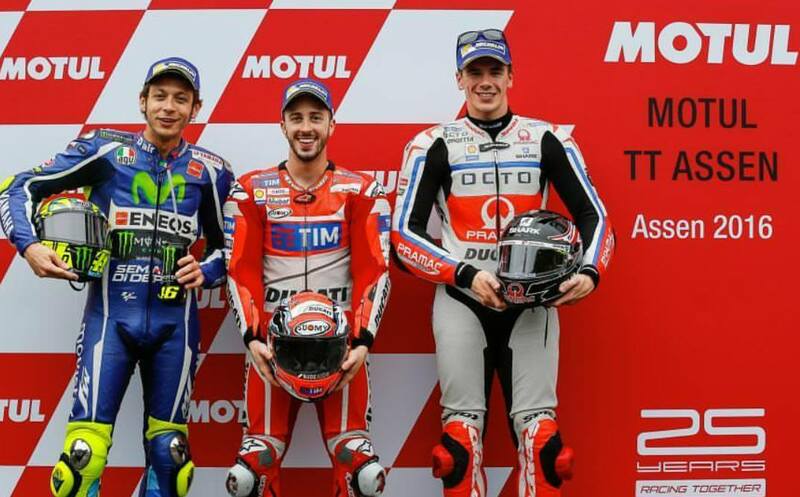 A gamble with a second wet tyre paid off for Valentino Rossi and enabled him to take second on the grid for the Motul TT Assen. 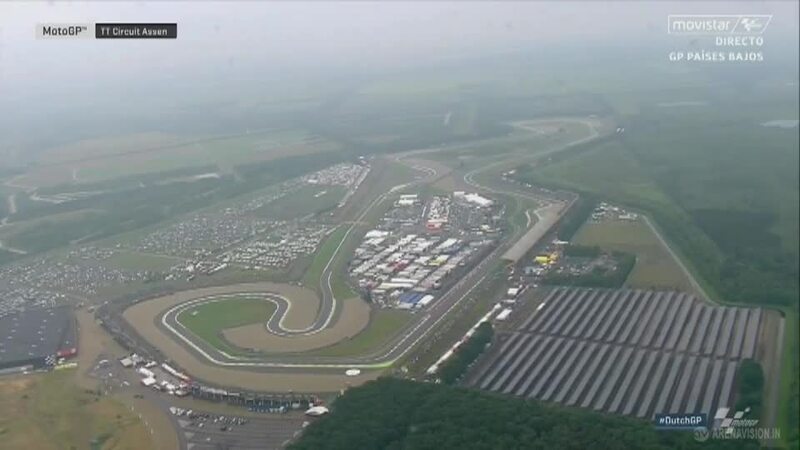 Valentino Rossi (Movistar Yamaha MotoGP) called upon all his expertise to assess the grim condition of the TT Circuit Assen on Sunday. While Free Practice 3 was held in more or less dry conditions, Free Practice 4 was the opposite as the rain came down. 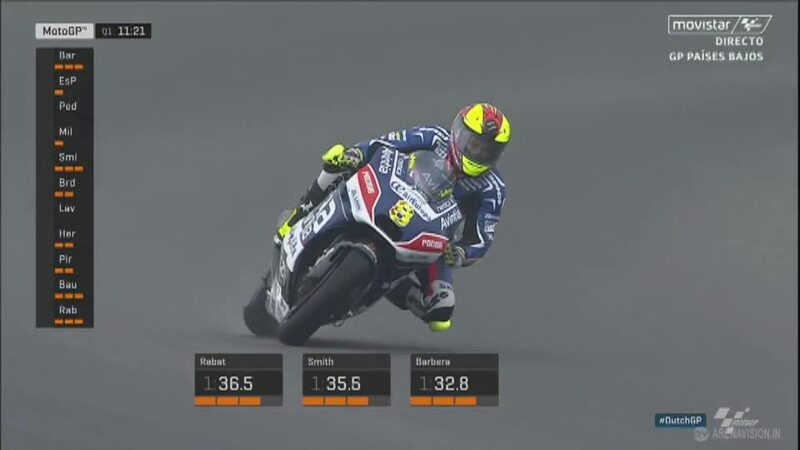 Rossi was immediately comfortable in the wet, ending the session second just behind Marc Marquez (Repsol Honda Team). Knowledge of the wet would come in very handy for Q2, the track starting wet and drying as the session went on. 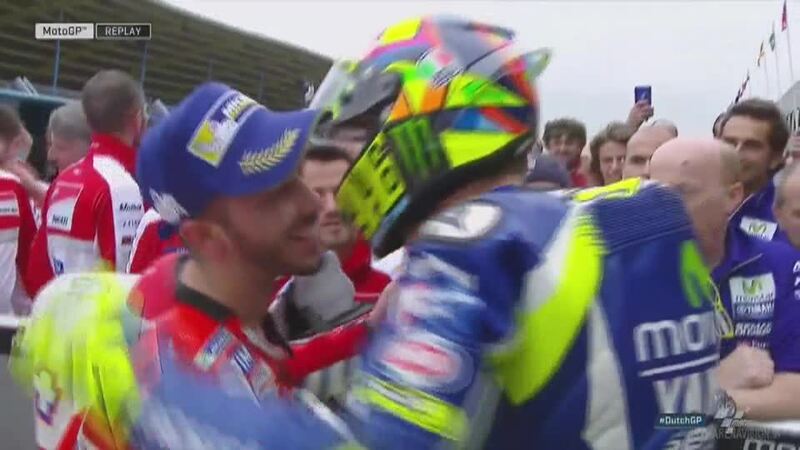 As has become a habit of his, Rossi waited for other riders to head out before venturing out himself. With clear space in hand, Rossi performed an exploratory lap before beginning to push and provisionally moving into third. The track continued to dry and forced Rossi back into the pits, his rear beginning to overheat. ‘The Doctor’ opted to fit a second full wet rear, conditions still too wet for intermediates. 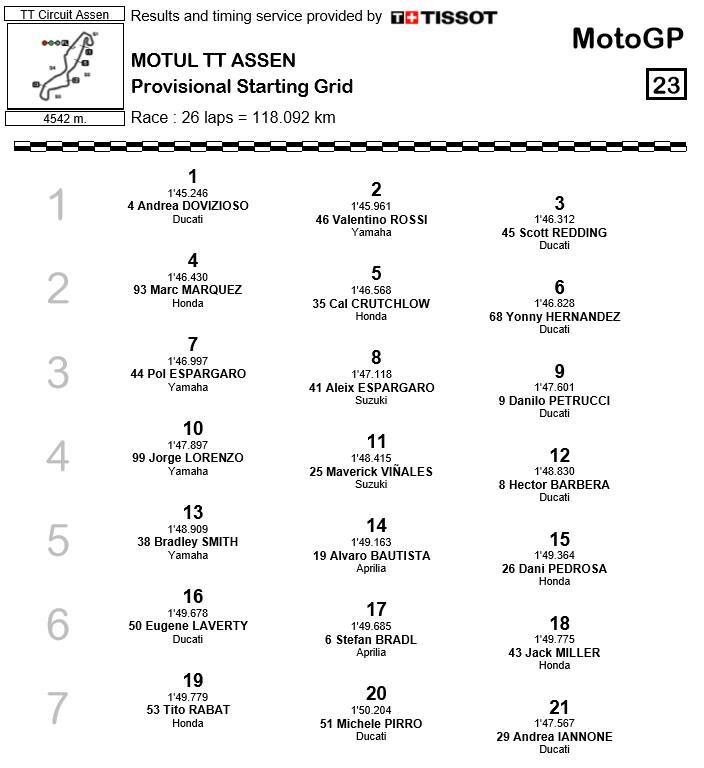 His decision proved to be the correct one as he improved his time to a 1’45.961 to take second on the grid. A premiere front row for Scott Redding in the premier class, leading the Independent Team riders as he grabs third. 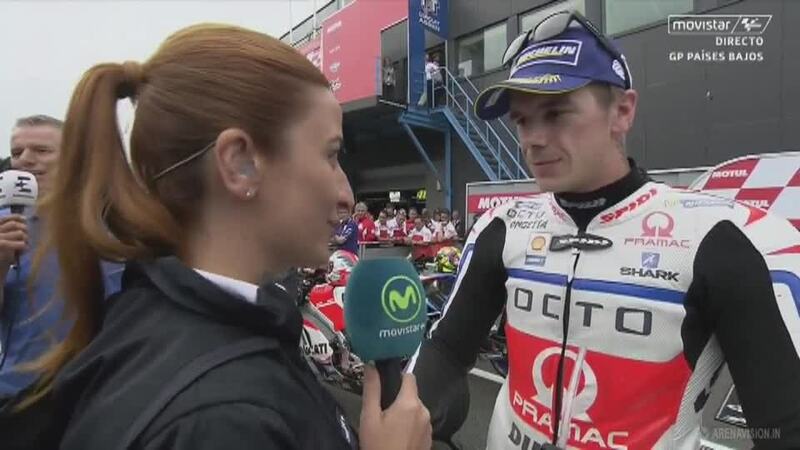 The weather has been up and down all weekend, Scott Redding (Octo Pramac Yakhnich) working hard to be strong regardless of the conditions. 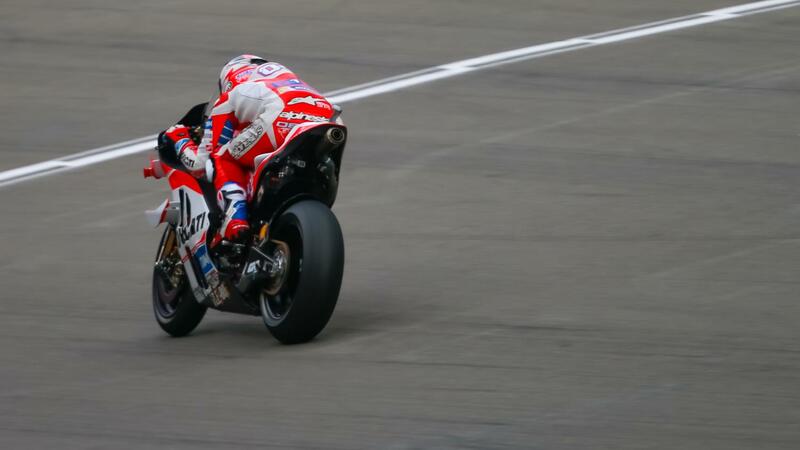 Free Practice 3 offered the MotoGP™ riders one last chance to taste a dry TT Circuit Assen, Redding ended sixth and only 0.382s back on the factory Ducati of Andrea Dovizioso (Ducati Team). Free Practice 4 was slow to start as the rain softly fell, riders waiting for the track to become sufficiently wet before heading out. 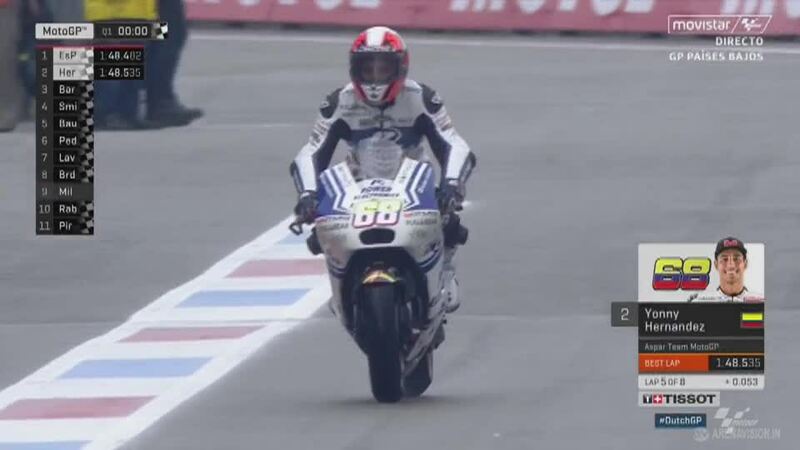 Unlike FP3, this session didn’t go to plan for Redding who fell at Turn 8. Redding was unharmed and able to head out for Q2, the drying track levelling the playing field and allowing the rider to make the difference. And make the difference is exactly what Redding did, a 1’46.312 taking him to his first front row in the MotoGP™ World Championship. From third on the grid Redding is in prime position to battle certainly for top Independent Team honours, if not the podium itself.